Architecture shot including people standing next to circular building at dusk. 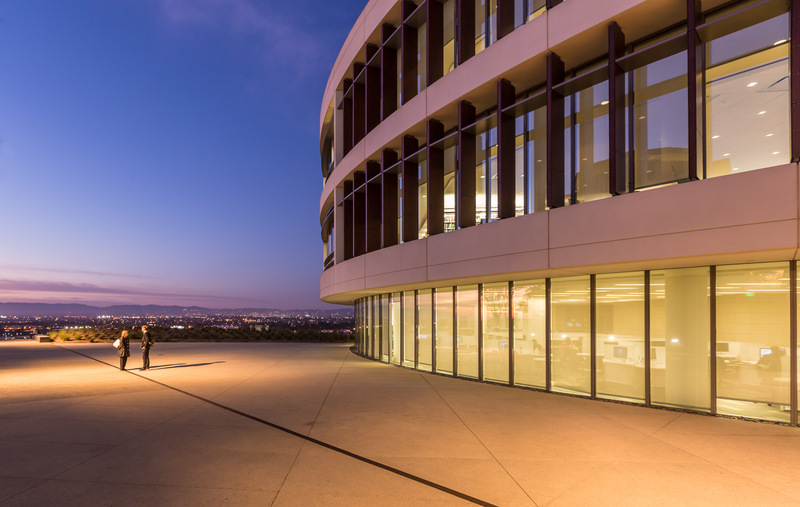 Hannon Library at Loyola Marymount University LMU in Los Angeles, California. David Zaitz Photography.